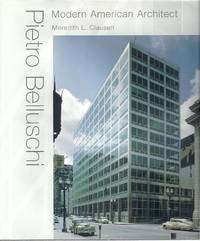 The MIT Press, 1995-01-04. Hardcover. Good. The MIT Press. Used - Good. Ships from the UK. Former Library book. Shows some signs of wear, and may have some markings on the inside. 100% Money Back Guarantee. Your purchase also supports literacy charities. 1995-06-09. Good. Ships with Tracking Number! INTERNATIONAL WORLDWIDE Shipping available. May not contain Access Codes or Supplements. May be ex-library. Shipping & Handling by region. Buy with confidence, excellent customer service! Pietro Belluschi. 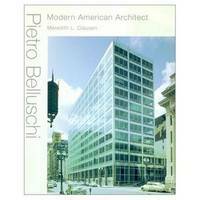 Modern American architect. Cumberland, Rhode Island, U.S.A.: Mit Pr, 1994. A FINE FIRST IN DJ. SIGNED BY THE AUTHOR. Signed. FIRST. Hardcover. Fine/Fine. Cambridge & London: The MIT Press, ., 1994. 4to. pp. x, 468. many illus. biblio. index. cloth. dw. First Edition.. F. Hardcover. 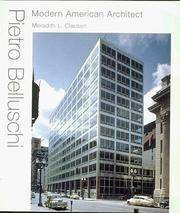 The MIT Press, 1995-01-04. Hardcover. Used:Good. The MIT Press. Hardcover. 0262032201 New Condition. . New. The MIT Press. Hardcover. 0262032201 Like New Condition. . Fine.